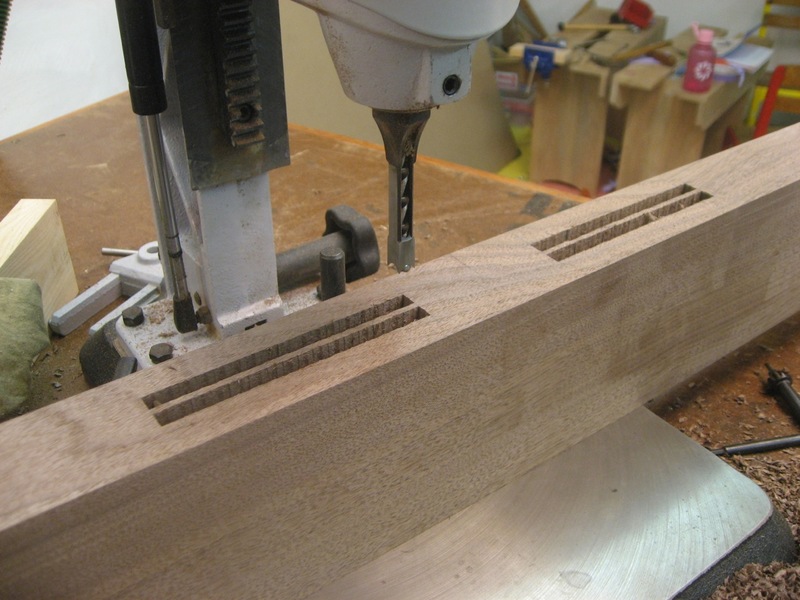 The leg design has what I call the “main section” which is curved crotch walnut and then a wider header and footer to help support the width of the table. These two pieces are attached with pegged mortise and tenons. 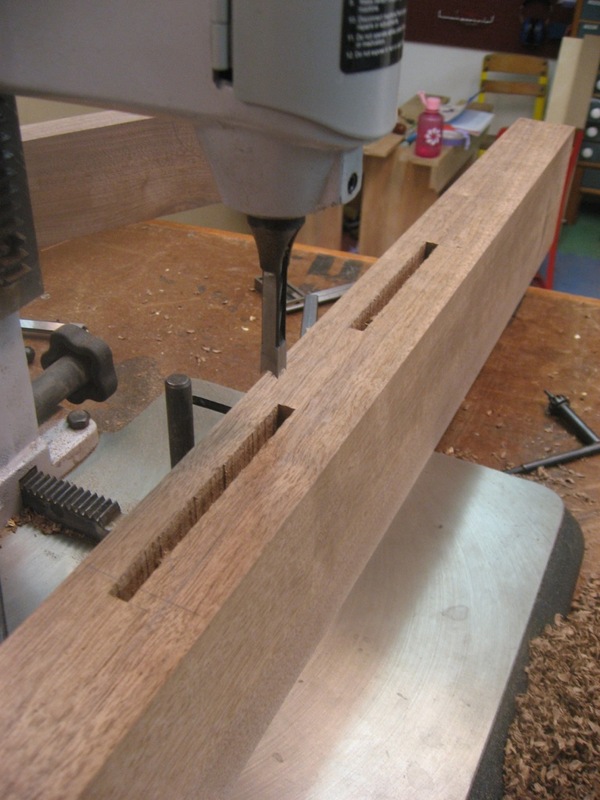 I lay out the mortise location using a pencil and a handy Woodpeckers square. I always use X’s to clearly mark the waste. Lay out mortise location with a pencil and mark the waste. 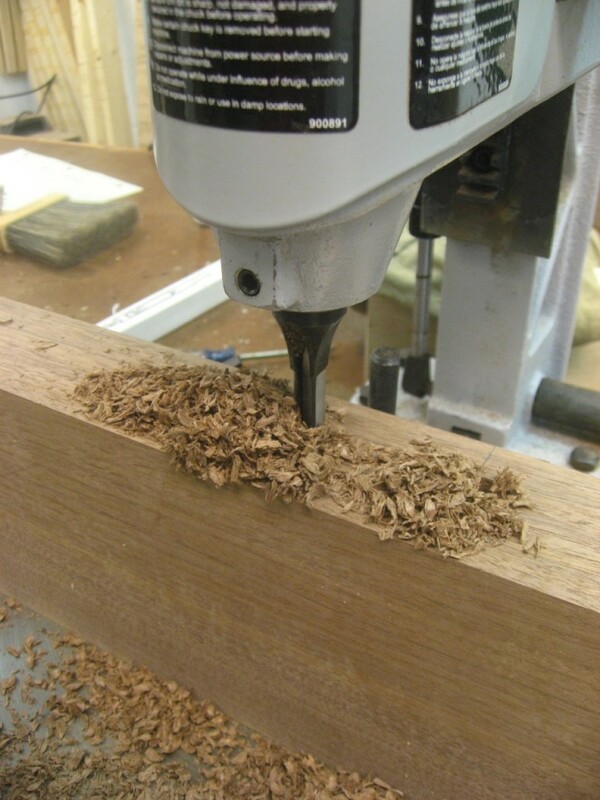 A mortise machine makes quick work. I use the pencil as reference, but it doesn’t have to be perfect. I’ll run all the pieces at the same time so they are consistent. I run the first wall of mortises on all the pieces. First wall of the wide mortise. Unfortunately these mortises are wider than my widest mortise chisel, so I have to run another set for the other outer wall. This leaves a small piece in the middle which simply pops out. 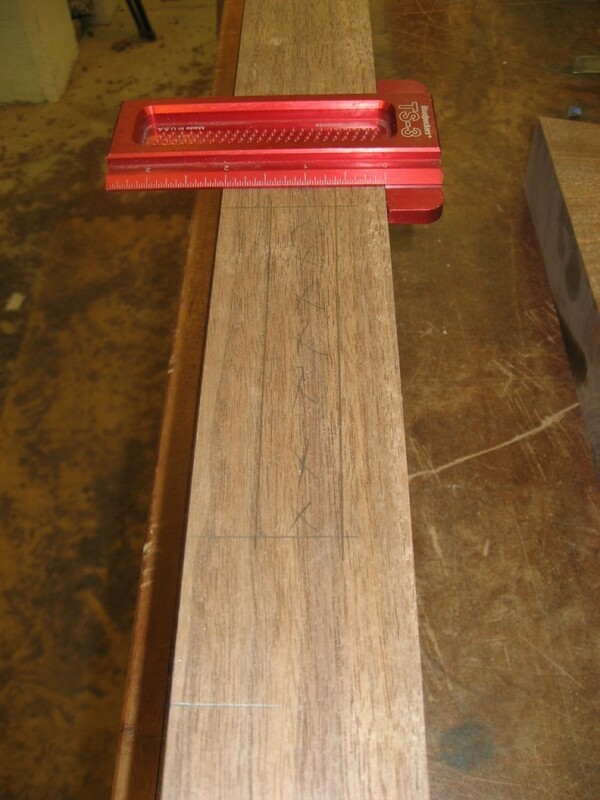 Next up: The matching tenons.